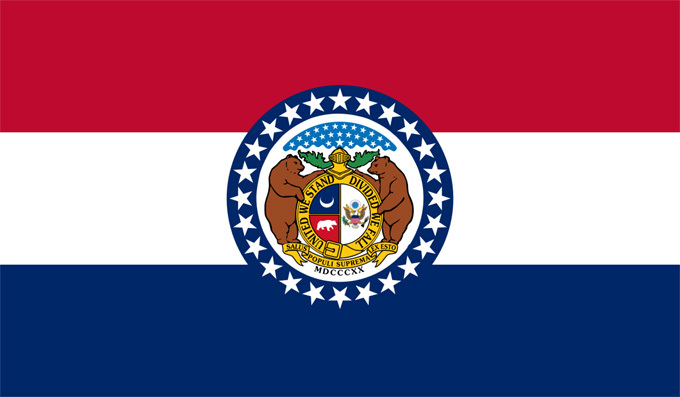 Missouri state flag; public domain image on Wikipedia. The two grizzly bears are symbols of courage and strength. They stand on a scroll bearing the state motto: Salus Populi Suprema Lex Esto (Latin for "Let the welfare of the people be the supreme law"). The bears support a shield encircled by the motto: "United We Stand, Divided We Fall (indicating Missouri's advantage as a member of the United States). The shield displays the U.S. coat of arms on the right (a bald eagle clutching arrows and olive branches), and a grizzly bear and crescent moon on the left. The crescent moon is a symbol that represents Missouri when the state seal was created in 1822 - a state of small population and wealth which would increase like the new or crescent moon. The crescent moon also symbolizes the "second son" (meaning Missouri was the second state formed out of the Louisiana Territory). Above the shield is a helmet representing Missouri's state sovereignty. The large star above the helmet surrounded by 23 smaller stars represents Missouri's status as the 24th state. The cloud around the stars indicates the problems Missouri had in becoming a state. 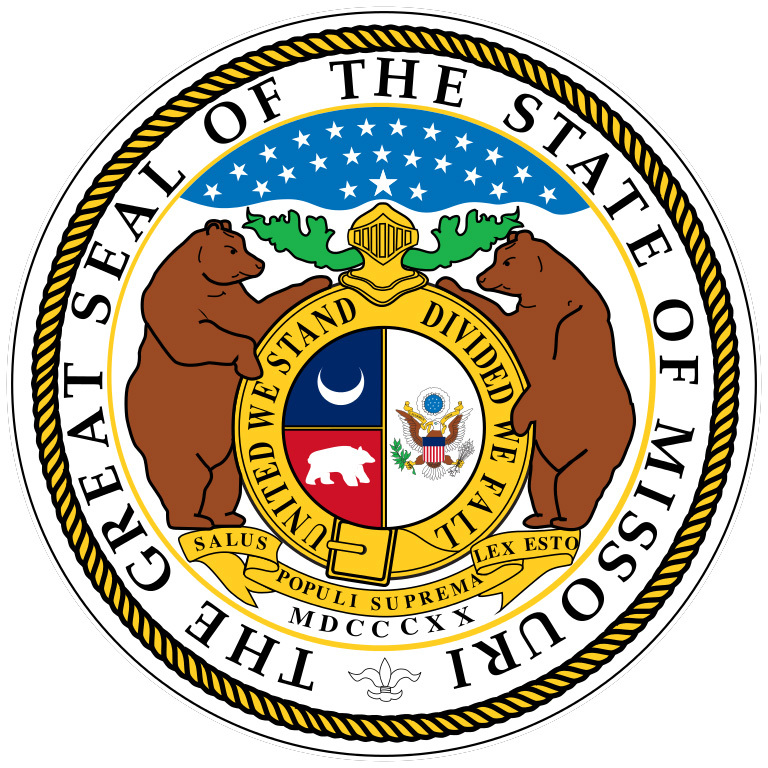 Great seal of Missouri; public domain image on Wikipedia.